Some of them took quite awhile to decide to be baptized, and others said yes right away. 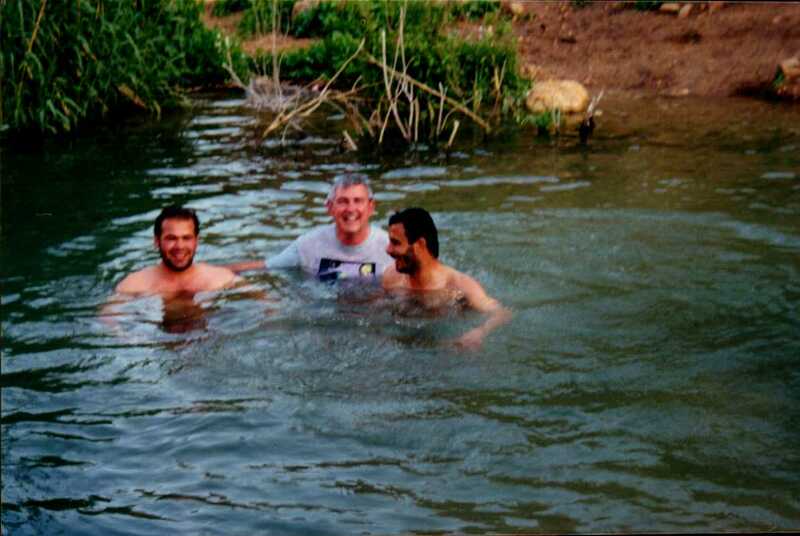 When a person said he wanted to be baptized, we immediately made plans to go to a stream! We would tell the believers who was being baptized and where it would take place and invited anyone who wanted to come witness the event. It is with great joy that we witnessed several people get baptized. It was a joyous occasion as you can see from the pictures. There was praise and laughter all around. One evening we had a new believer come to Bible Study. He announced he wanted to be baptized that night. Since it was dark outside it really wasn’t too safe to go to one of the springs. He was very insistent. So we filled the bathtub and baptized him in the tub. He was smiling a lot during that Bible Study. And of course the believers rejoiced with him. 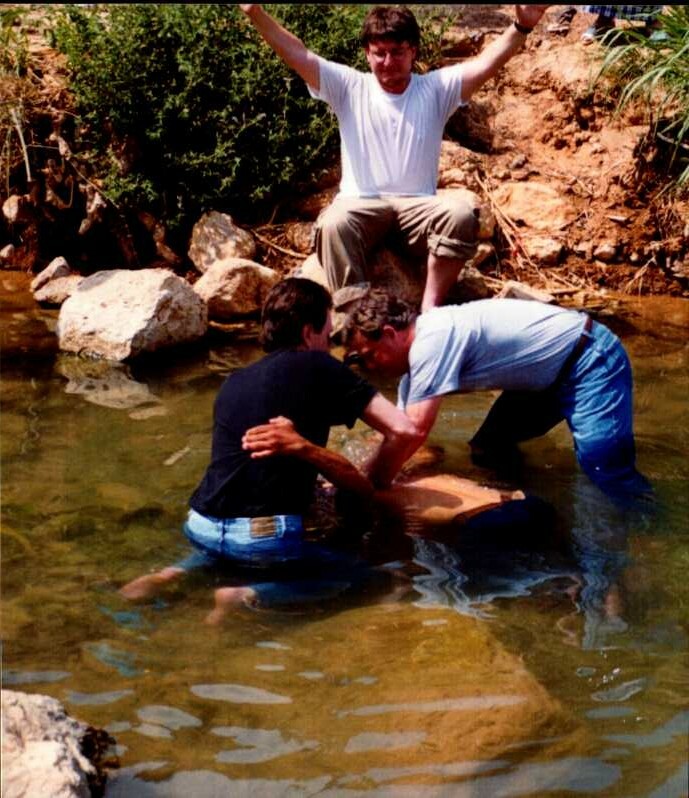 So why is baptism in Jericho such a big thing? These were Muslims giving their heart to Jesus. We called them MBB’s or Muslim Background Believers. They were hungry for the Word of God. Things are still happening in Jericho. We heard just recently of several more people being baptized. It is exciting to know the work still continues.